For her PhD Tamsin looked at into the role of a lack of oxygen in the development of Age-related Macular Degeneration, and if a lack of oxygen was responsible for the changes seen in dark adapted visual function in this condition. Tamsin has experience of teaching and lecturing at an undergraduate and postgraduate level and in 2015 joined City University as a lecturer in the Division of Optometry and Visual Science, where she carries out both research and teaching roles. 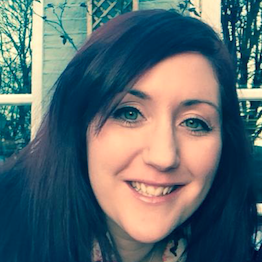 Currently, Tamsin is the Primary Investigator on a project investigating home monitoring in glaucoma. Postgraduate Diploma in Academic Practice, BSc Optometry and Vision Science, Fellowship Dispensing Diploma and PhD in Optometry and Vision Science. "Winners in the 2009 Naylor prize competition". Ophthalmic & physiological optics (0275-5408), 30 (6), p. 870. Tamsin's primary research interest is Age-related macular Degeneration (AMD) and in particular in the aetiology and pathogenesis of the condition. Tamsin is also interested in investigating functional biomarkers for the early stages of the condition and the effect AMD has on retinal structure and visual function. Acuity Porfessional Development Journal, Editorial board member, Nov 2017 – present. Health Has Got Talent. (2018). Invited speaker. European Glaucoma Research Training Program workshop. (2018). Invited speaker. ARVO 2016 Annual Meeting. Seattle (2016). Paper: Functional Biomarkers of Hypoxia in Age-related Macular Degeneration. British Congress of Optometry & Visual Science. Cardiff University (2014). Paper: Effect of oxygen inhalation on scotopic thresholds in early Age-related macular degeneration. Bristol Vision Institute Young Researchers Colloquium. Cardiff University (2013). Paper: Dark adaptation as a biomarker of hypoxia in age-related macular degeneration.